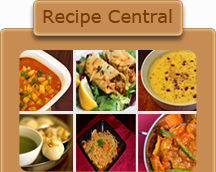 In a pressure cooker take 3 ½ cups water, add the washed lentils and pressure cook for about 3 to 4 whistles. Allow the cooker to cool and then open carefully as it is hot, and check if the lentils are cooked..
Whisk the lentils to mash them, add 1 cup water to mashed lentils, mix well so as to make the consistency like a soup, then add in the salt, red chili powder, turmeric, peanuts, jaggery ,ginger , green chill Heat the lentils on low to medium heat. For seasoning heat oil/ghee in a skillet ,as it get little hot add in the mustard seeds, allow to crackle, add in fenugreek seeds, asafetida, cinnamon stick, whole cloves, allow to sizzle for about 2 minutes, add this seasoning to the lentils that are cooking and mix all together, continue boiling lentils for another about 20 minutes. Add chopped coriander. 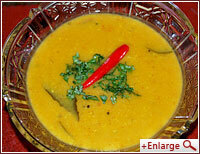 Add lemon juice to the lentil , check for salt, jaggery and add little more like 1 tsp as per taste. Enjoy hot lentil as a comfort food with rice.